Want to see all the technologies used by raventools.com? Sitening is the company behind **[Raven Internet Marketing Tools](http://raventools.com)**, a comprehensive online platform for agencies, consultants and in-house professionals who need to research, manage, monitor and report on SEO, SEM, PPC, social media, email, content and other Internet marketing campaigns. Raven's all-inclusive SaaS platform offers one central location for collaborative, informed teamwork and fast, easy reporting. Partners of Sitening LLC, an Internet marketing consulting agency founded in 2004, created Raven SEO Tools in 2008 to help them and others be more efficient and productive. By 2009, the team had expanded the toolset far beyond SEO into other forms of Internet marketing and discontinued all Sitening consulting services. In 2010, the co-founders renamed the product Raven Internet Marketing Tools. Raven Internet Marketing Tools has partnerships with or integrates data or services from more than 15 third parties. These include Google AdWords, Google Analytics, Google Webmaster Tools, Majestic SEO, SEOmoz, Authority Labs, Twitter, Facebook, Textbroker, KnowEm, uberVU, Campaign Monitor, Basecamp and more. It is used by thousands of Internet marketing professionals worldwide, in more than 80 countries. Sitening LLC is a privately-held business based in Nashville, Tennessee. 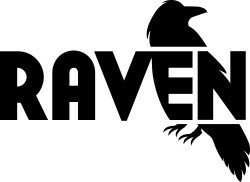 For a quick look at additional technographic info on raventools.com or any domain on the web, download our Chrome Extension. Check out our help article to see how Datanyze Insider can help you.